Etobicoke General, part of the William Olser Health System, serves communities from Toronto to Caledon with cardiology, mental health, surgical and other services. 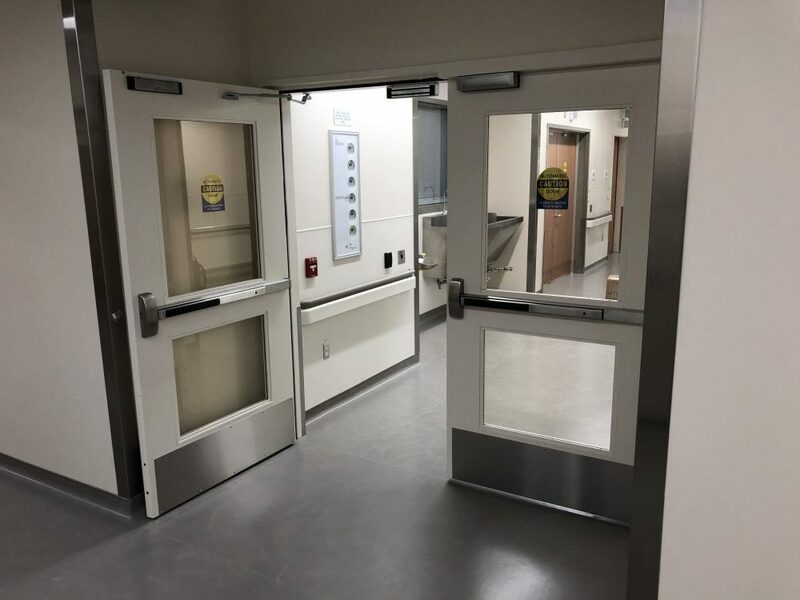 As part of the hospital’s expansion, Trillium was called on to assist with specifications and consulting services during the design phase. 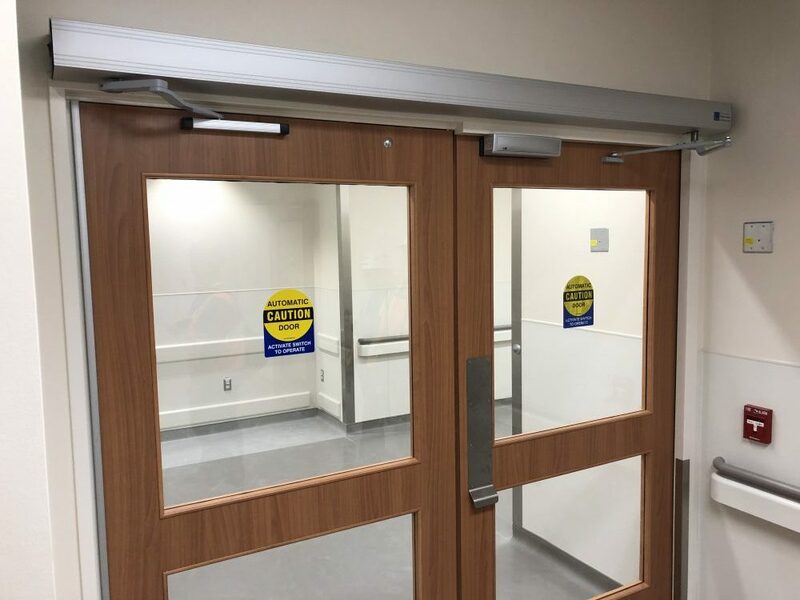 Our scope expanded to the supply of wood doors, hollow metal doors and frames, hardware and automatic door operators. 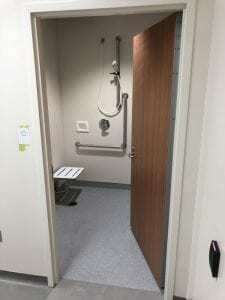 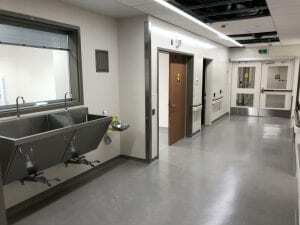 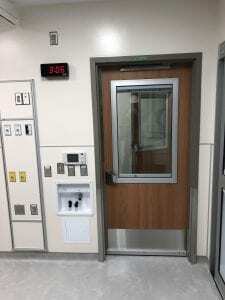 Hospitals are full of unique openings, and EGH is no exception. 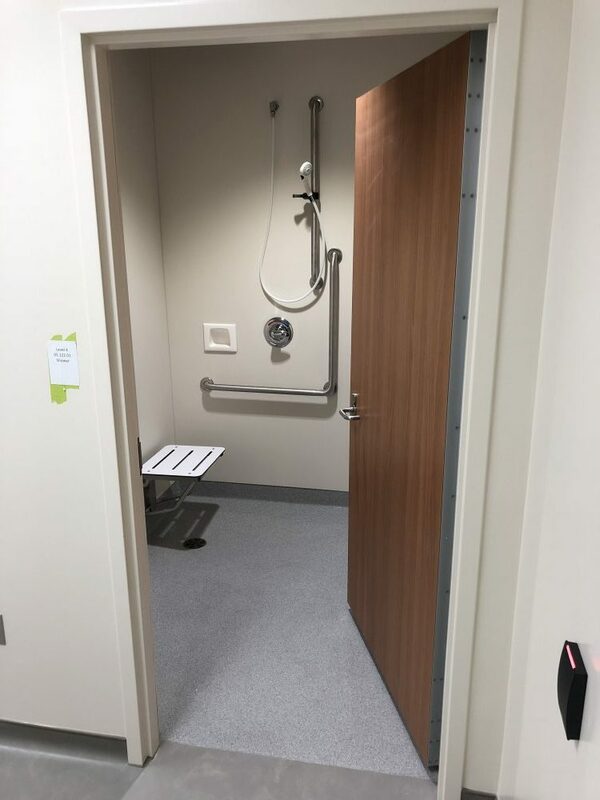 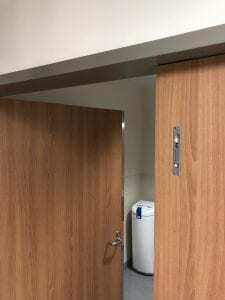 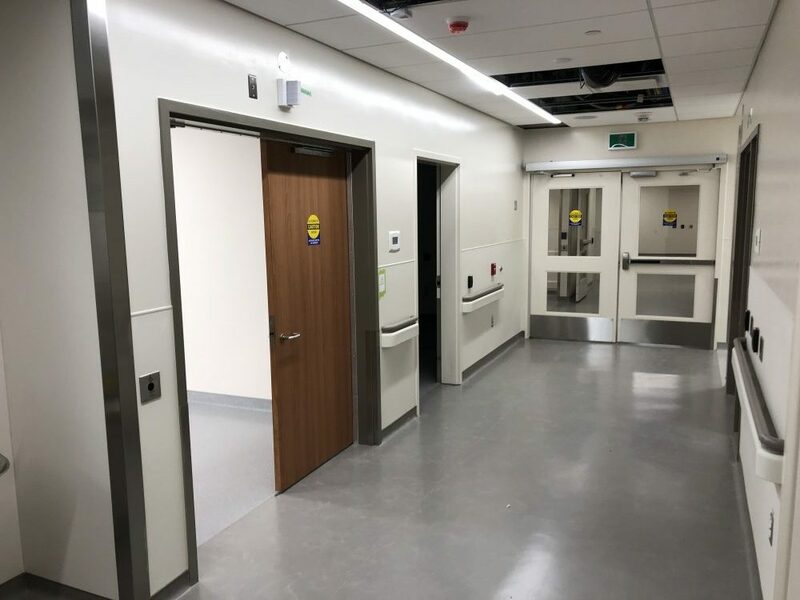 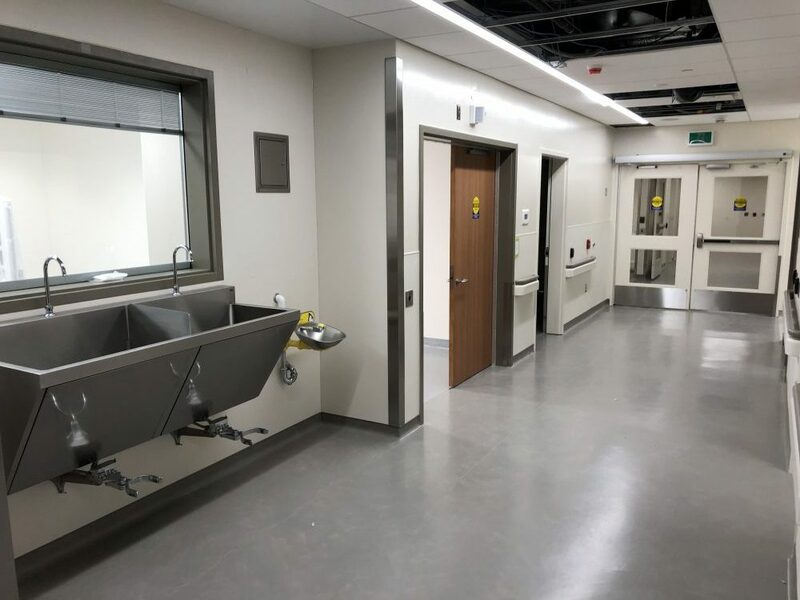 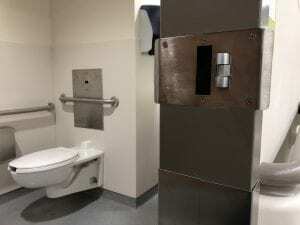 The project includes lead-lined openings, universal washrooms with emergency release latches, and the crème de la crème of the door industry – the fire-rated double-egress automatic cross-corridor opening with card access and mag locks. 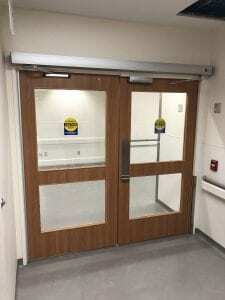 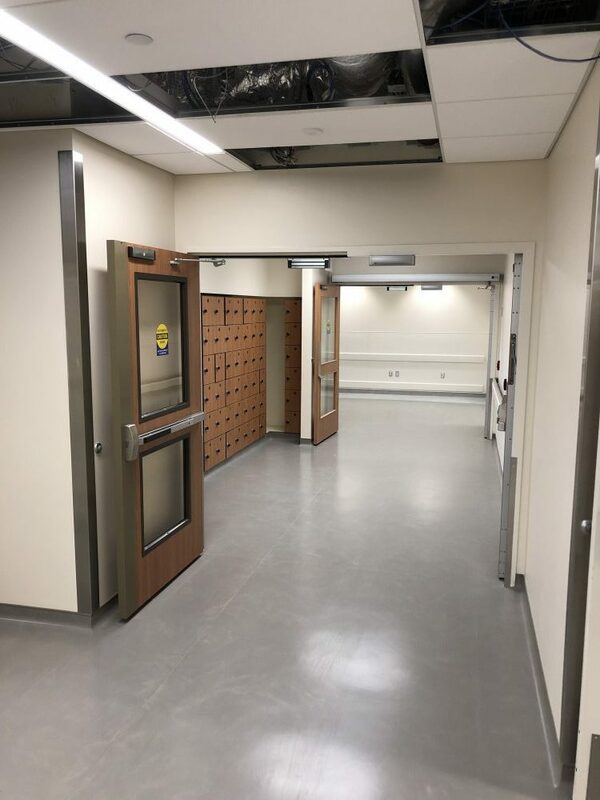 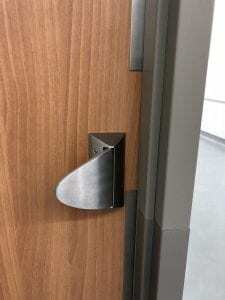 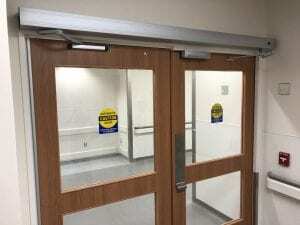 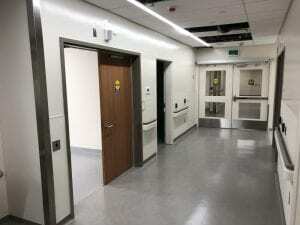 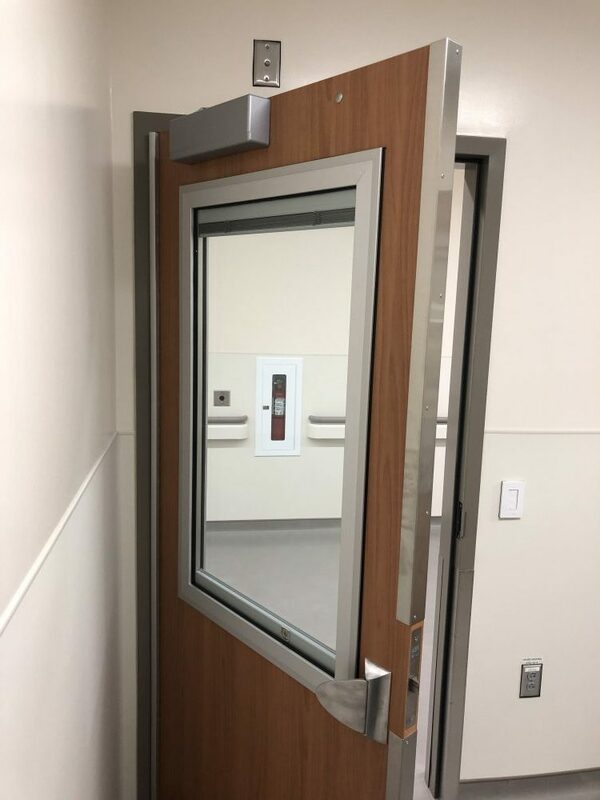 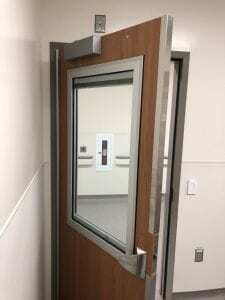 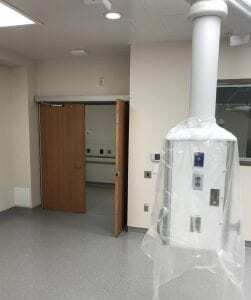 Stainless steel jamb guards, door edges and armour plates are used throughout the building to protect against damage from gurneys and stretchers. 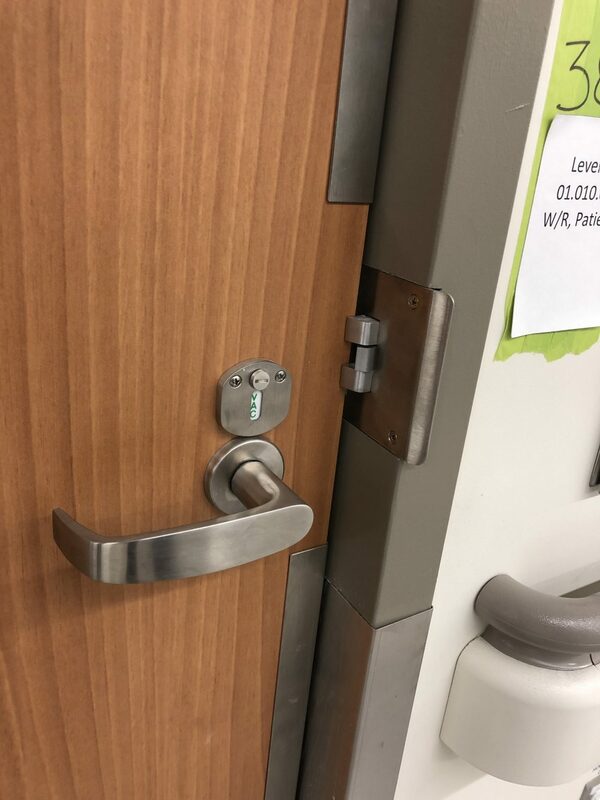 Trillium Service designed and supplied the high-security Abloy key system, while Trillium Integration coordinated the extensive use of electronic security and access control devices.